A truck gun can be practical when you must travel in and out of jurisdictions where concealed carry is prohibited or when entering establishments that don't permit guns. Of course, here we're assuming it's legal to have a loaded handgun in your car or truck in the first place. Obviously, you need to check that. I'm not a big fan of this practice, but folks who admit to having a truck gun say they do so for the reasons noted above. In some cases they want access to a second gun that will be easier to get to than their carry guns if they're wearing a seatbelt or heavy clothing. As to the truck gun itself, more than a few users admit their truck gun is a lower-cost gun and deliberately so. The thinking is that if it were stolen they would be out of pocket for less money, and, obviously, they don't want their favorite pistol or revolver to be stolen. 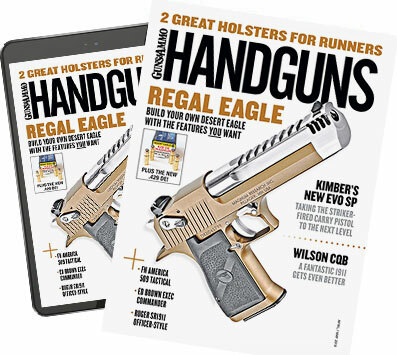 As to how and where they place a handgun in a vehicle, most use the existing storage space that's large enough for a pistol: glove compartment, center console, door map pouch or storage shelf. The only truly good option for storing a car gun is an actual safe such as a GunVault. Placing the gun in a center console or devising a rig with a holster of some sort will keep the gun secure inside the vehicle but won't prevent theft. Loose gun in the car? Don't do it! But some simply stick it under the driver's seat or one of the floormats. Those wanting quicker access to a pistol when entering an area they perceive as "dangerous" might simply tuck the pistol into their waistband, under a leg or between split front seats. In more extreme instances, they may simply place the gun on the passenger's seat and cover it with something. People who tell me they are doing one or more of these things are ignoring the safety hazard an unsecured gun presents in a moving car, and when I mention it, they shrug their shoulders and say it is just a cost of being able to better defend themselves. Let's go over why a lot of these methods are unsafe and unacceptable, starting with placing a gun on the passenger seat, then moving on to stuffing one between the seats, under the driver's seat or under floormats on either side—to include simply placing in one of the cubbyholes today's vehicles offer such as a door map pouch. All these methods leave your handgun unsecured, and when you slam on the brakes or take hard turns, you're going to have big trouble because the truck gun is going to move. It could fly forward, hit the dash and bounce to the floor; it could slide under your brake pedal or accelerator; and at the very least it could move to a location where you can't reach it when you actually need it. Tuck a gun under your leg? For one thing you're almost assuredly going to break one of the cardinal rules of gun safety: muzzle control. Assuming a right-handed shooter tucking it under the right leg, where's that gun pointing? One leg or the other. Second, if you have to make a hasty exit or are distracted getting out of the car, you could well drag the gun with you, and it's going to hit the ground hard and possibly slide under the car. Where and how to place the truck gun is a trade-off between access, concealment and safety. First and foremost, the truck gun must be secured well enough so it is not going to go roaming the interior of the vehicle or, in the case of a collision, flying off into parts unknown. I've never found a happy medium for the foregoing situations, but in fairness, I have never lived in a gun-unfriendly state, plus I've spent most of my life as a law enforcement officer, which meant the gun I carried could go anywhere, anytime. Now that I'm retired, I use a security vault when I have to travel in gun-unfriendly states. The vehicle I own now has very limited space for securing or attaching any size pistol anywhere, and the interior surfaces are plastic. The Hornady Security Rapid Safe looks to be quicker than the safe I'm currently using. My current one requires either a key or pushing five buttons in a spread-hand outline to open its spring-loaded door. Also, the Hornady model offers an easy way to secure it inside the car via a cable, whereas with mine I had to have a U-shaped handle welded to it and use a heavy padlock. There's also the relatively new NRA Jotto Gear Handgun Holster that's specifically designed to keep your handgun secure—both in terms of it staying put when the car is in motion and also theft prevention. There are other ways to secure a truck gun. In discussing this topic with some friends, they had a few suggestions, one of which was using a belly band beneath the driver's seat. To attach it to the seat, my friend trimmed it to fit and added snaps to the seat and belly band. He said the resulting device holds a gun securely and up off the floor—the latter consideration a nod to preventing theft in case of a break-in, with the thought that a quick hand-sweep search may well miss the gun. Another friend suggested a visor accessory bag. He uses one to hold his Beretta .32 ACP Tomcat pistol. Another said he gutted the center console and attached a Kydex holster inside. Other than the first couple of options—small gun safes or the Jotto Gear item—none of these really addresses my main objection to having a truck gun (as opposed to the CCW gun you have secured on your body in a holster of some kind). Cars and trucks are so easy to break into, and it happens all the time. If you have a gun in that vehicle, you've armed a bad guy, and that's why I have a truck gun only when there is no better option.